1017 S. Santa Fe Ave.
Leave your lawn and off-lawn needs to us! We will rid your lawn of unwanted weeds. 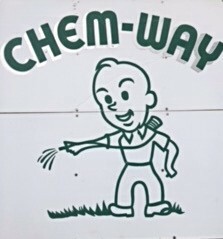 Chem-Way Lawn Care is a family owned and local company. We have been in business since 1946. Chem-Way prides itsef as being one of the biggest and best lawn care companies in Colorado. Our "flagship" program is also called our 5 star program, which is a series of 5 treatments spaced 5-6 weeks apart. You will enjoy the convenience, special discounts, and a phenomenal lawn offered through Chem-Way. 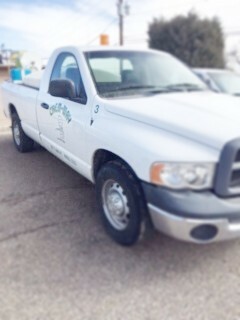 Call us for any other questions or services regarding your lawn or off lawn needs. Two proven pre-emergent products that will provide major prevention/reduction of most species of summer-annual weeds and grasses in non-lawn & rock landscape areas. Can be safely applied right up next to all vegetation. This application MUST be made late February thru late March. This treatment can be safely applied to all rock areas and up close to all vegetation. Our customers trust us to get the job done. The five star program is broken into five separate applications beginning in March and ending in September. All prices and guarantees are based on your lawn receiving all five of the 5 Star treatments. Our weed control can also be set up on a program. This consists of four to five treatments spaced five to seven weeks apart. This will control the weeds for the entire season. With the pre-emergent treatment you will really appreciate having a major reduction of your normal weed nuisance for the remainder of the season.